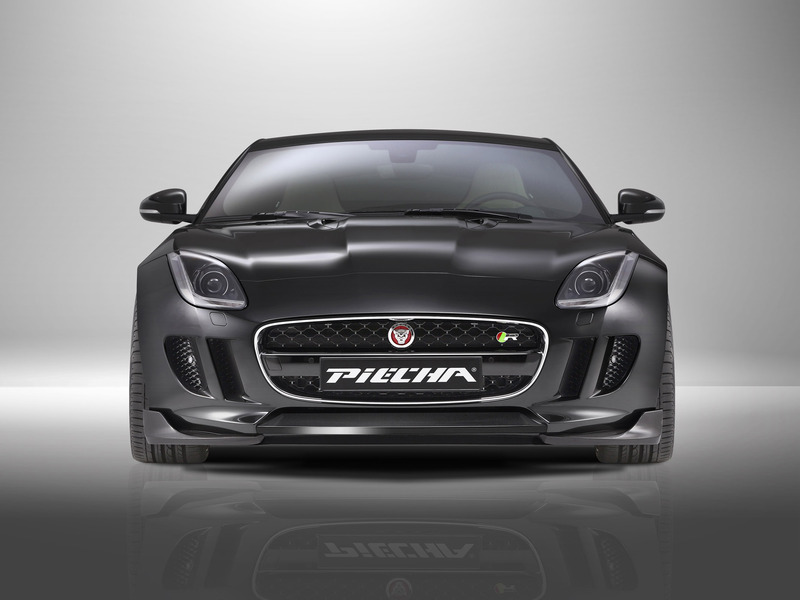 Following the success of their Jaguar F-Type programme for the 3.0 V6 Coupe/Convertible, and 5.0 V8 Convertible, Design & Tuning specialist PIECHA is proud to announce their range topping “PIECHA Tailor Made Performance Edition” of the F-Type 5.0 V8 R-Coupé. 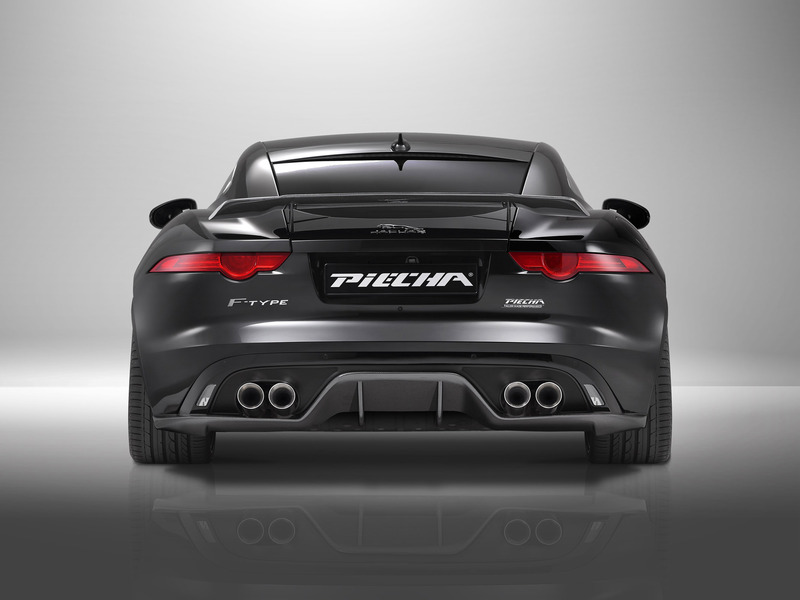 Like a prize fighter in an immaculately tailored designer suit, the PIECHA R-Coupé exudes an elegant dynamism, even at rest. 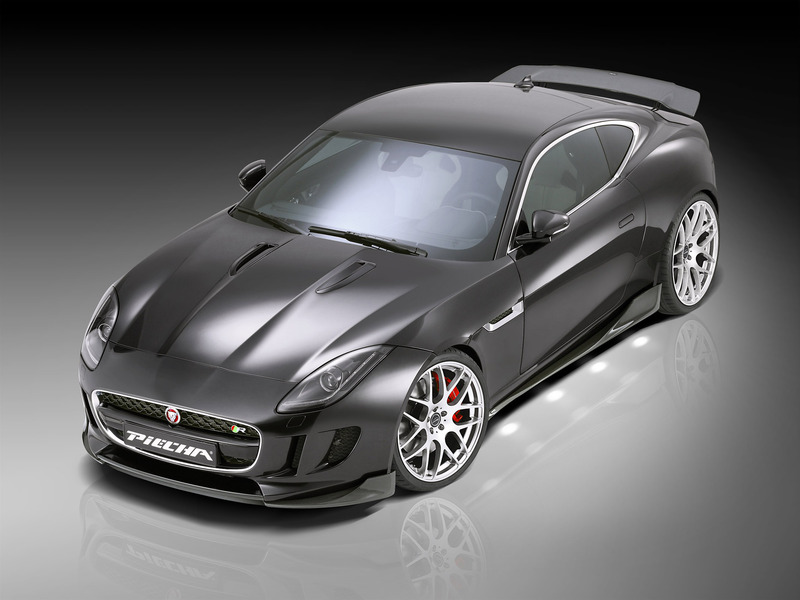 Its visual highlights are the aerodynamic styling kit made from the finest high-gloss carbon, and the brand new 21-inch "PIECHA MP-Y alloy wheels in High-Gloss Silver finish. 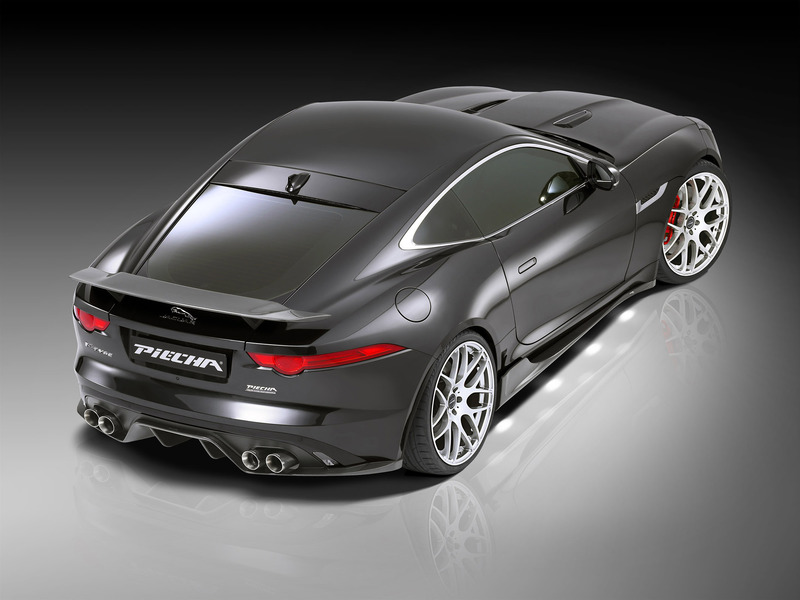 While the PIECHA Jaguar F-Type R Coupé is a feast for the eyes from every angle, its purposeful stance is most dramatic from the rear where the wide Carbon Diffuser with two vertical stabilising fins, and the satin textured bezel framing the four 90 mm exhaust tailpipes, all combine to create a powerful image. 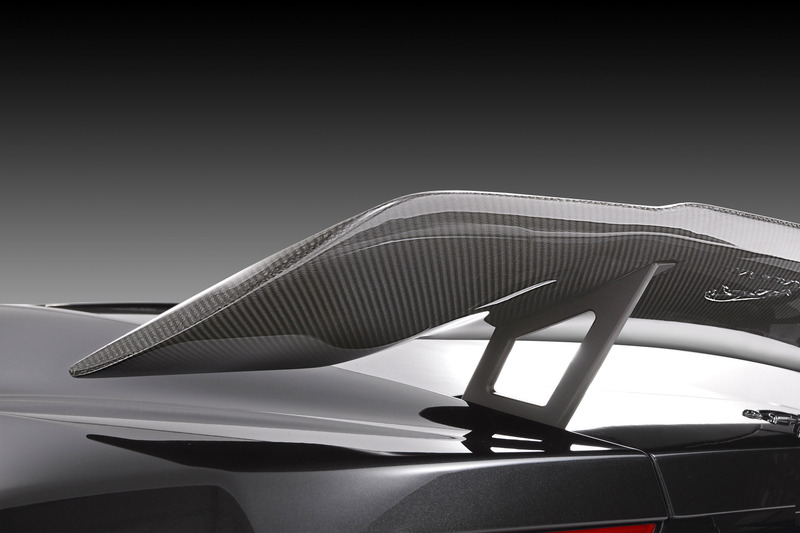 Topping off this tough look is the super light, exquisitely styled and aerodynamically optimised Carbon Rear Wing occupies pride of place on the rear deck. 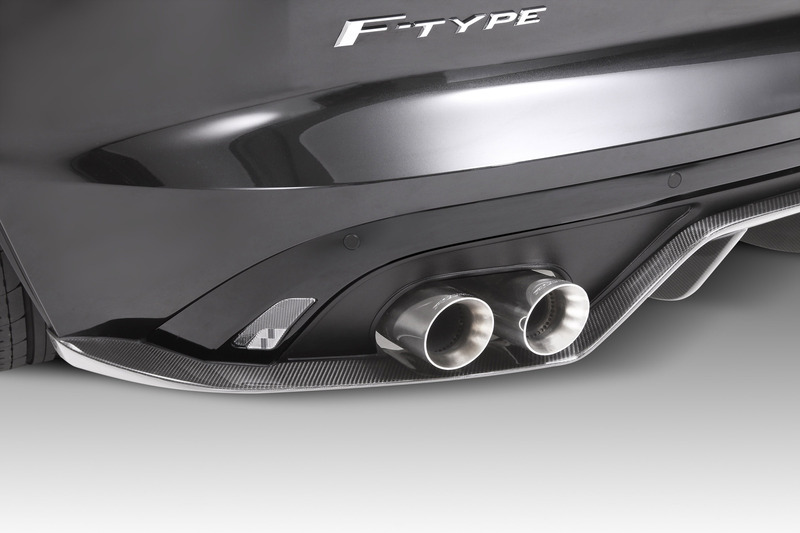 Even the detailing of its black anodised aluminium support struts speak of fine attention to detail. 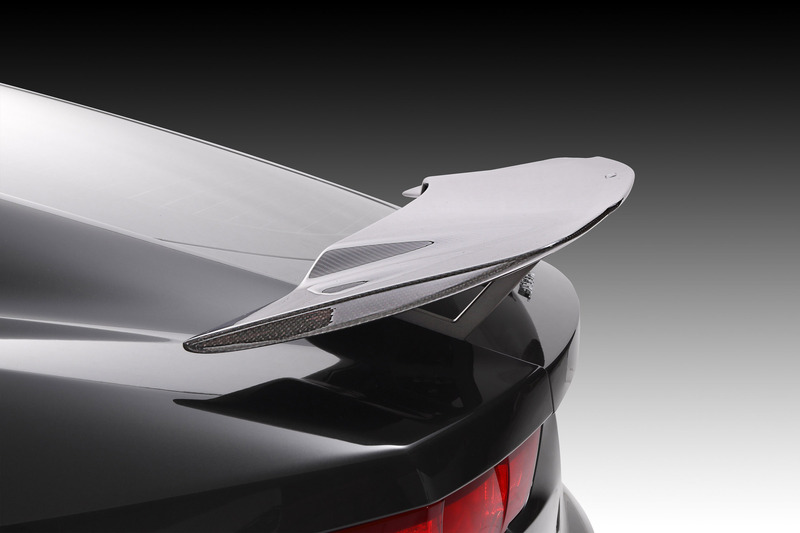 Also crafted from high-gloss lacquered carbon, the superlight Front Cup Wings and Carbon Sill-Wings appear to flow from the F-Type’s bodywork, giving it a wider, more wedge-shaped appearance. During the development phase, a lot of attention was paid to practical issues. 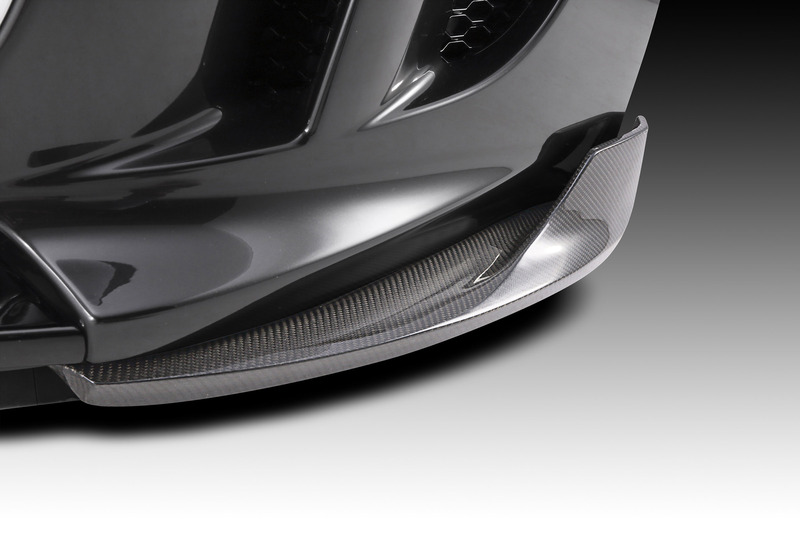 Thus, while the front Front-Cup-Wings attached to the original spoiler lip make the front spoiler appear deeper, actual ground clearance to the bottom of the lip is not reduced. 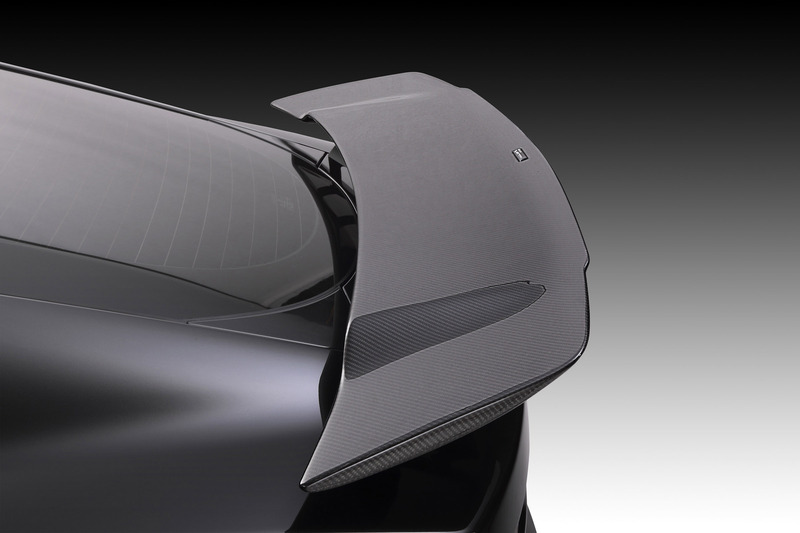 The aerodynamic components alternatively to the Carbon finish can be delivered primed for painting and come with all necessary fittings. Lowering of the cars ride height is done electronically via the factory adaptive damping system. As tests with conventional steel lowering springs did not yield the desired results, a bespoke height-adjustable coil-over spring setup was developed for the front end with new springs for the rear. 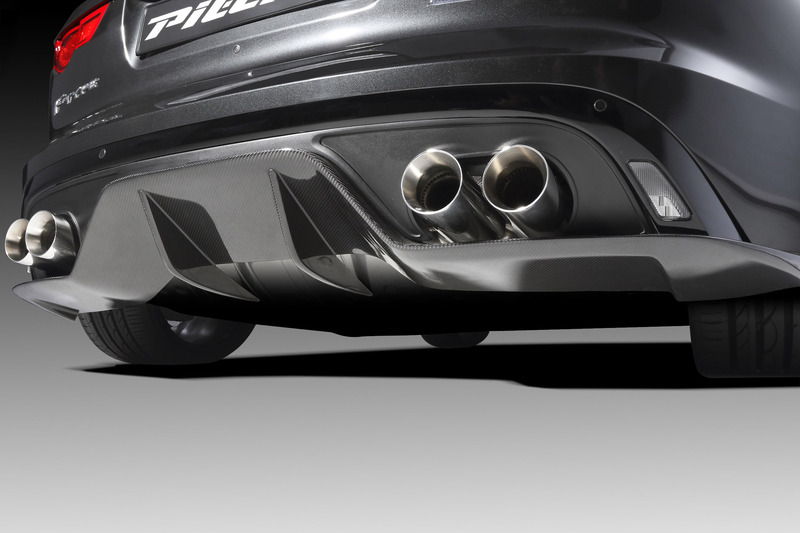 Using race style technology, the front suspension features a main spring and a helper spring separated by a threaded, height adjustable spring pan. Used in place of the standard spring pan on the original dampers, the system provides a lowering adjustment range of between 10 and 30 mm from stock ride height. 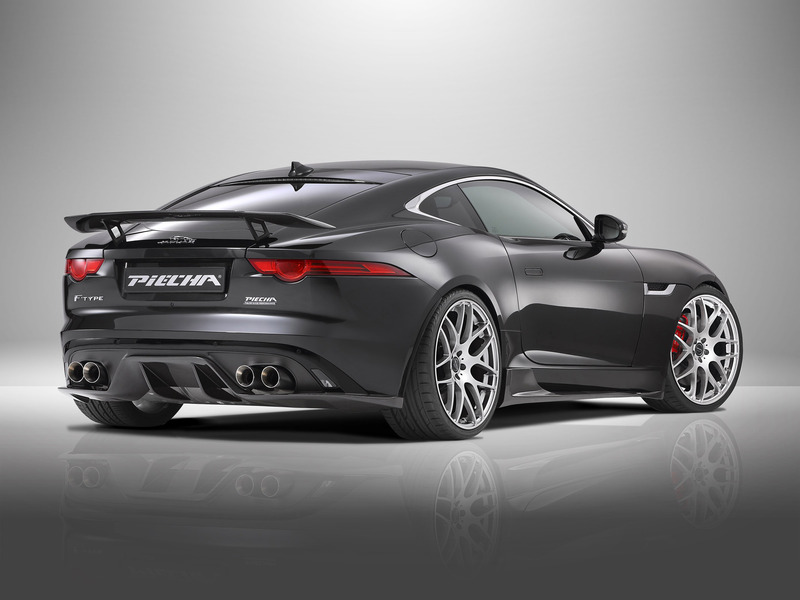 All chassis and comfort related driver assistance systems remain in full operation with this adjustable spring system, which is available for all rear-wheel-drive Jaguar F-Type models. 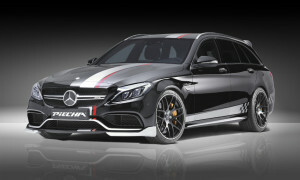 To compliment the improved optics and handling bestowed by the suspension lowering kit, the wheel arches are filled to the brim by PIECHA MP-Y alloy wheels in 9.0 and 10.5 x 21 inch sizes, shod with 255/30R21 and 295/25R21 Yokohama ADVAN Sport tyres. 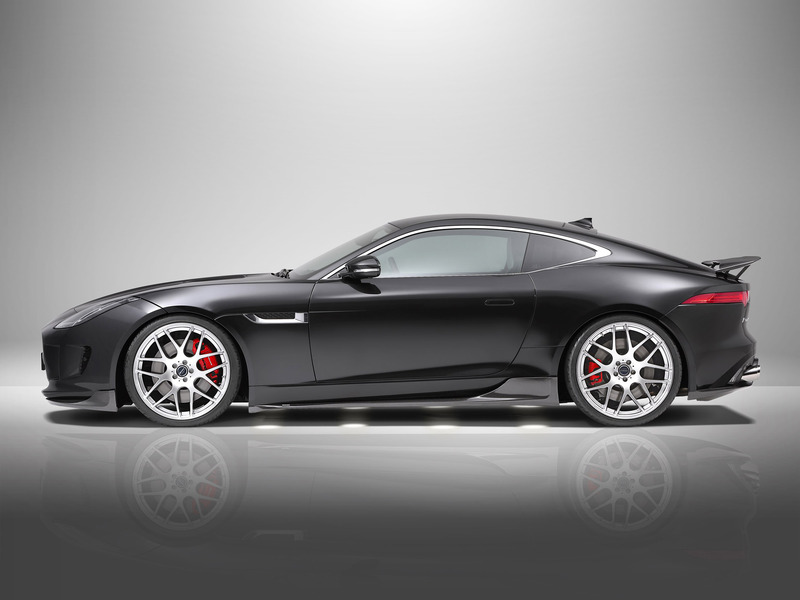 These wheels are available either in the High-Glass Silver version with polished rim, or the fashionable Satin Black with polished rim. 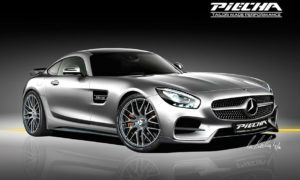 No bodywork modifications are required for this wheel/tyre combination. 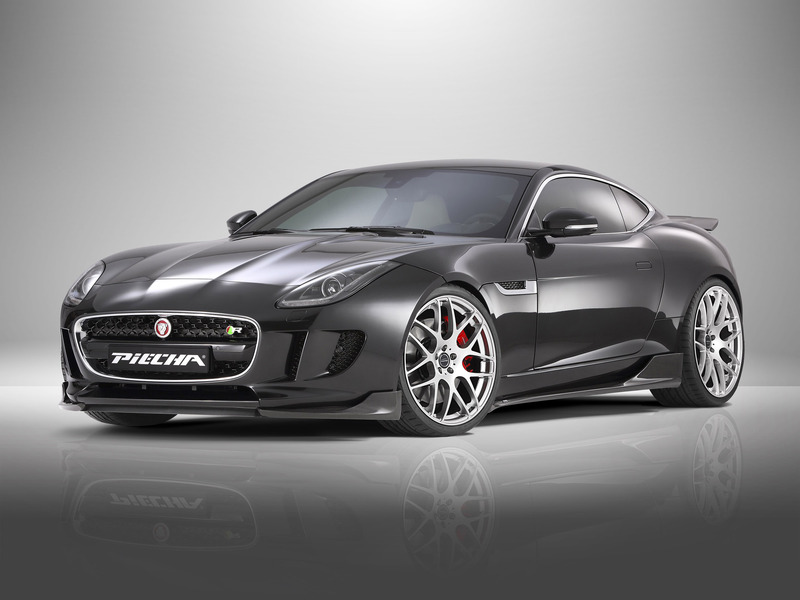 The PIECHA Tailor Made Performance Edition of the Jaguar F-Type combines sporty elegance, performance and a high degree of exclusivity in a distinctive package that is sleek, suave and not too visually overt. 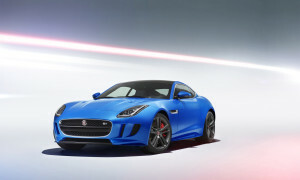 The entire Jaguar F-Type program is now available for all 3.0-litre V6 and 5.0 litre V8 Coupé and Convertible models, including the all-wheel drive versions.